Malignant tumors of smooth muscle origin are one of the more frequent sarcomas; their relative frequency has been estimated from 2% (Myhre-Jensen et al. 1983; Trojani et al. 1984) to 8.8% (Enjoji and Hashimoto 1984) — 9.3% (Markhede et al. 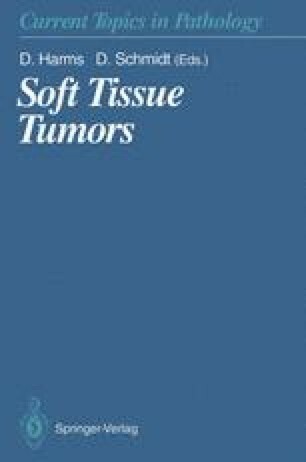 1982) of all soft tissue sarcomas. The annual incidence of leiomyosarcoma (LMS) is calculated to be 1.136 per million for whites and 1.984 per million for blacks regardless of the sites of origin (Polednak 1986). According to the same source, LMS also represents the most frequent sarcoma with a frequency of 30% in whites and 39% in blacks.